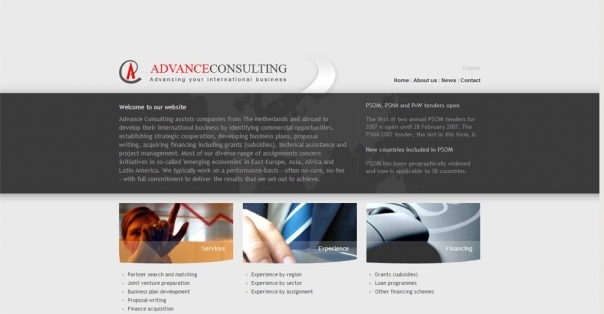 Advance Consulting was established in 1999 responding to a definite demand from commercial companies for result-orientated consultants to assist them in further developing their business abroad. Initially focussing on acquisition of Dutch government grant financing for investments abroad, our corporate and NGO clients engage Advance Consulting for an increaslingly wider range of business development services. Advance Consulting employs 10 professionals who are experienced in project formulation and international business development. Their offices are located in Haarlem and Ede, The Netherlands.